VA and I had been working as caretakers of a property in Big Sur over the last year, and besides a quick trip to Death Valley, hadn’t been on a long walk since our back to back high routes last year. Living simply in the Sur afforded us the time and space to get out and wander the coastal ranges of central California, skimming the beaches for jade, running the ridges and valleys, hosting friends and family, and exploring more deeply a place we both hold dear. 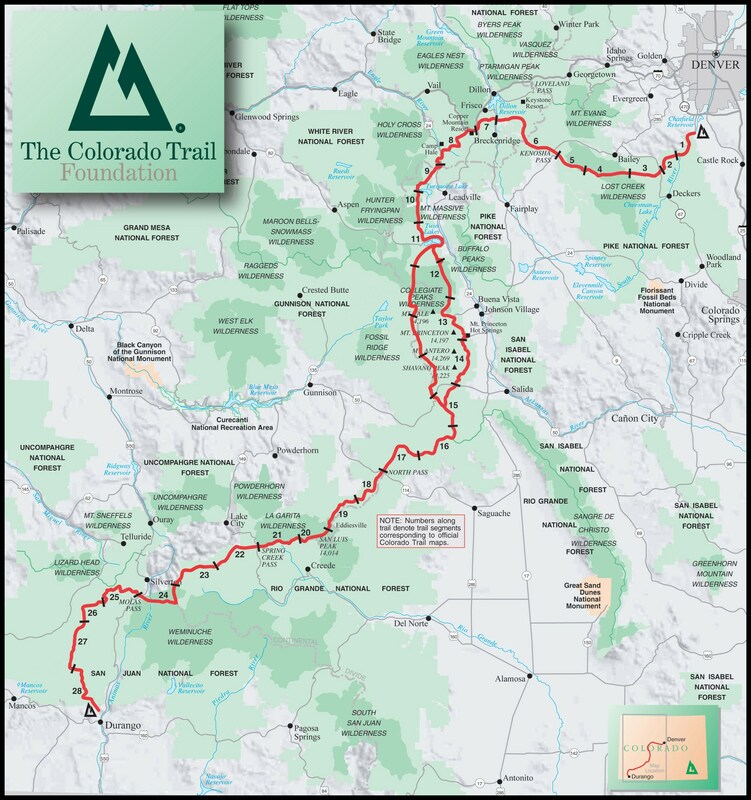 It also allowed us the mental space to plan another series of summer adventures, including a return to the SHR, the Colorado Trail, and the Low2High Route. And then there was the Soberanes Fire. It’s birth came as an illegal campfire, was first reported as a 5-acre brush fire, and over the last two months has grown and matured into a full-fledged backcountry wildfire (currently over 125,000 acres and the most expensive fire in American history). The ridge we were living on was evacuated two days before our departure date, and we left the Sur as flames crested Mt Manual and started making their way into the valley. We headed east to the Sierra for a quick section of Roper’s route, and then made our way back to Durango, the town in which VA and I met in 2012. We parked Occupanther at a friend’s house, rented a car, and drove to Denver to begin the CT. It took us twenty-two days to walk the five-hundred miles from Denver to Durango. Many of those miles and feelings were captured in the video below. Turn up the volume and enjoy. Nice video! Congrats on the CT!